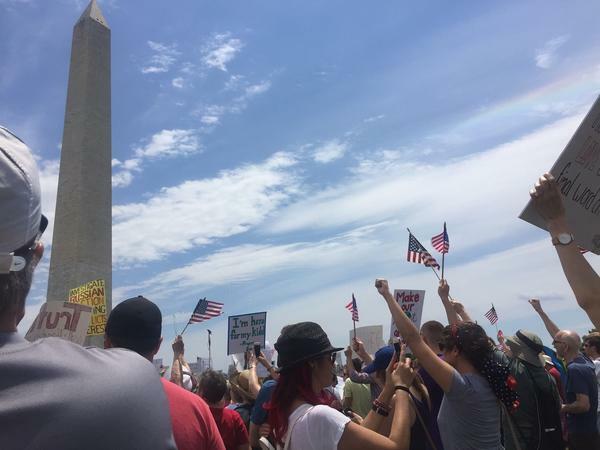 In Washington, D.C., demonstrators called for a congressional independent commission to investigate connections between the Trump campaign and the Russian government — one of several nationwide "March for Truth" rallies on Saturday. Across the street from March For Truth demonstrators, Trump supporters staged their own, smaller, "Pittsburgh Not Paris" event in D.C. to show support of President Trump's decision to withdraw from the Paris climate agreement. Thousands of protesters gathered around the country in a series of "March for Truth" rallies on Saturday. Demonstrators were calling for a congressional independent commission to investigate connections between the Trump campaign and the Russian government. In full view of the White House, protesters in Washington, D.C., demanded answers in the ongoing Russia probe. Chants of "Investigate Trump!" and "Resist, resist!" rang across the National Mall. Some protesters even lined up together to spell out "Investigate Trump." "I want to know what the ties are to Russia," said Atossa Shafaie, who joined protesters in the nation's capital. "I want to know how Russia has infiltrated our government. I don't think there's a question that they have." Shafaie was among hundreds of fellow anti-Trump activists who argue that neither the Senate committee nor the special counsel can disassociate from politics sufficiently enough to uncover any potential collusion between the White House and Russia. That's why they want an independent commission. They were also demanding that the president release his tax returns. Marchers took to the streets in more than 100 cities including New York, Los Angeles and Seattle. 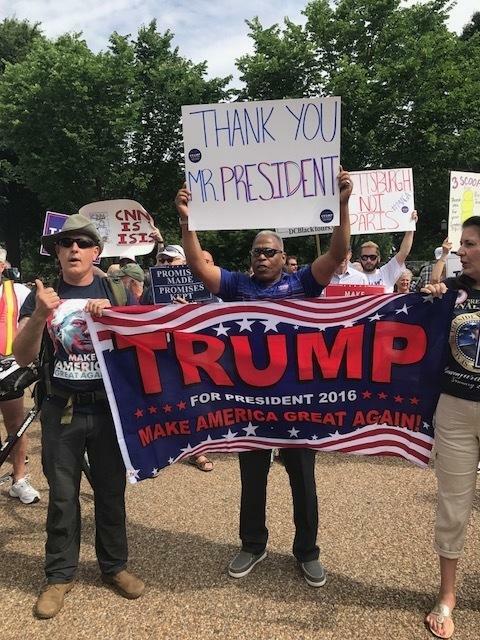 Meanwhile, Trump supporters staged their own, smaller "Pittsburgh Not Paris" event in D.C. to show support of President Trump's decision to pull the U.S. out of the Paris climate agreement. The rally, orchestrated by the Fairfax County Republican Committee and the Republican Party of Virginia, was a last-minute effort, The Hill reports. A few demonstrators at the March for Truth told NPR what brought them out to rally on Saturday. "It's important for us to stand up for truth. I think in this day and age when facts are being attacked, when truth-bearers are being attacked, it is important for us to stand in opposition to that." "I'm outraged at how slow the investigation of the Trump-Russian possible collusion has been going. And the fact that the GOP is completely complicit." "There's just been so many lies lately and it's like, it's really affecting all of our lives, even us younger people. There's been a lot of speculation at school, there's been a lot of arguments and everything. And everyone just kind of wonders, like, what's going on. 'Cause you can't really trust the news anymore." 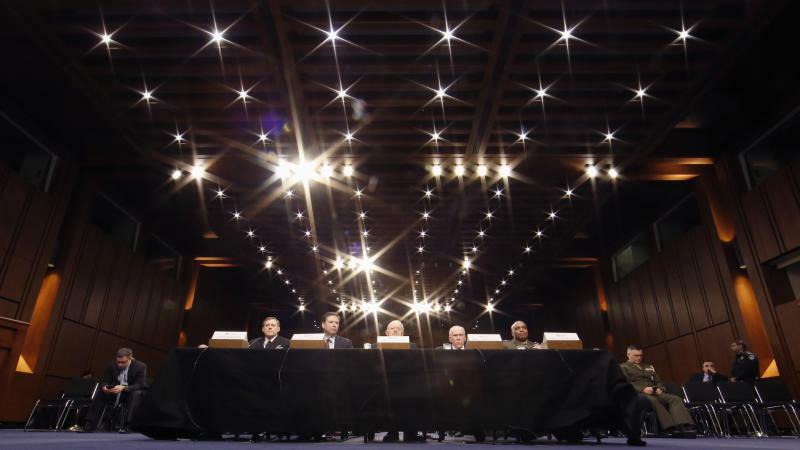 Leaders of the Senate Select Committee on Intelligence say they have issued subpoenas for documents from two businesses operated by former national security adviser Michael Flynn. 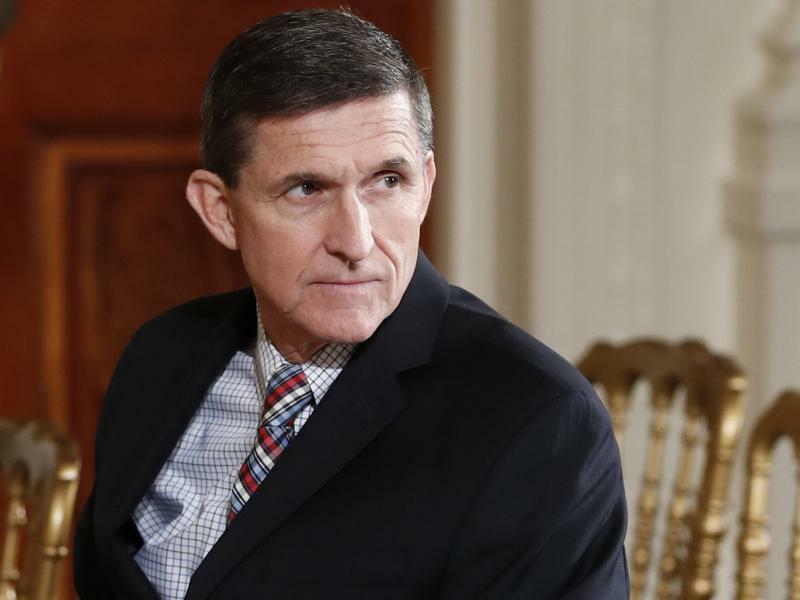 Committee Chairman Sen. Richard Burr, R-N.C., and Vice Chairman Sen. Mark Warner, D-Va., in remarks to reporters, said the subpoenas were sent to Flynn Intel LLC and Flynn Intel, Inc. with a specific list of documents they are seeking. The senators did not say what to what those documents relate. 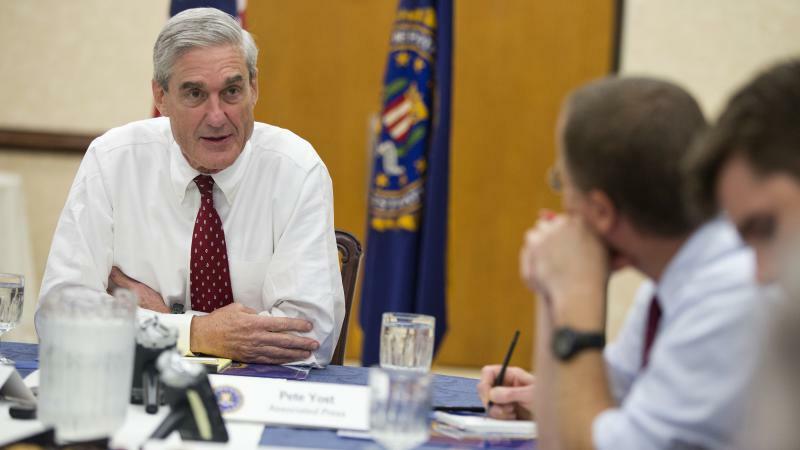 Justice Department ethics experts have decided Robert Mueller can proceed as the special counsel leading the investigation into the Russian government's efforts to interfere in the 2016 election, despite his former law firm's representing President Trump's daughter Ivanka and son-in-law Jared Kushner. 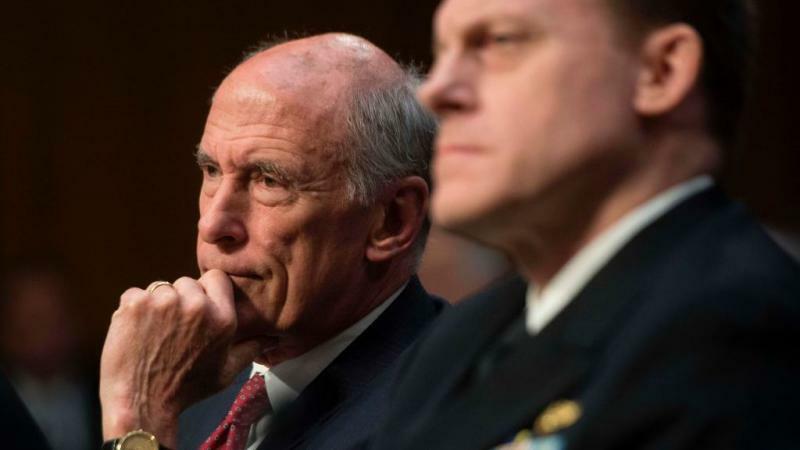 President Trump asked two top U.S. intelligence chiefs to push back against the FBI's investigation into possible collusion between Russia and his presidential campaign, the Washington Post reported Monday evening. Updated at 10:08 p.m. ET. 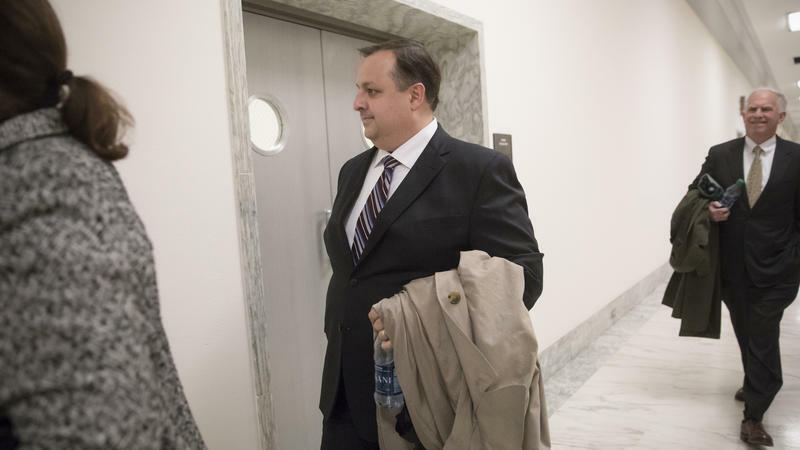 The Office of Government Ethics has rejected a White House attempt to block the agency's compilation of federal ethics rules waivers granted to officials hired into the Trump administration from corporations and lobbying firms.